your car looks like fun, Zealot. theres one like it here at work. My old girl, '80 924 turbo with 924 carrera gt kit, stock everything else, old pic tho. I'm slowly being talked around to holding onto it. Will still have to buy a new head ( $3500.00ish) and auxillaries, plus i need to do some of the synchros in the g/b and hopefully not have to do any of the gears ( 1st and 2nd gear is NLA) but its going to be costly. But, I can store it indefinitely. I would loooove a porsche. I intend to get one as my next car (once I'm gainfully employed and not a student). And yea, they're a lot of fun, I tend to cop a bit of flak for them being 1) <2L 2) NA 3) French and 4) FWD, but they'll leave a lot of cars behind them around corners. I drive a pug mate, Porsches aren't that much more expensive parts wise. Trick is to get friendly with a specialist mechanic and/or import the parts for it from overseas. And yes, I'm dead set on a porsche... gotta be a 911 though. Originally 4AGE Redtop Bigport 16v now 4AGE Blacktop 20v. Mine barely cost me anything, for parts go to www.autobahn.co.nz they seem to be the cheapest. Infact it was as cheap to maintain as my old 120y. Maybe I struck a good one though. Furby: Yeah, I'm loving the power increase and the peace of mind of a newer car, my circumstances have changed a bit and the M3 really suits my needs a lot better than the 944 and it's superior to it in every way (except looks but that's a matter of opinion). I'll definatley own another Porsche one day, I havn't been turned to the dark side hah! Zealot: At least drive a front engine Porsche before you rule one out, they're amazing cars. If I could have afforded one I would have got a 968CS over the M3. Wolfy: Yea realistically unless I got lucky, a 911 for a reasonable price would be hard to find. I'd happily take a 944 or 924, I prefer the '44s myself. Tetsu - keen to swap cars for a day? 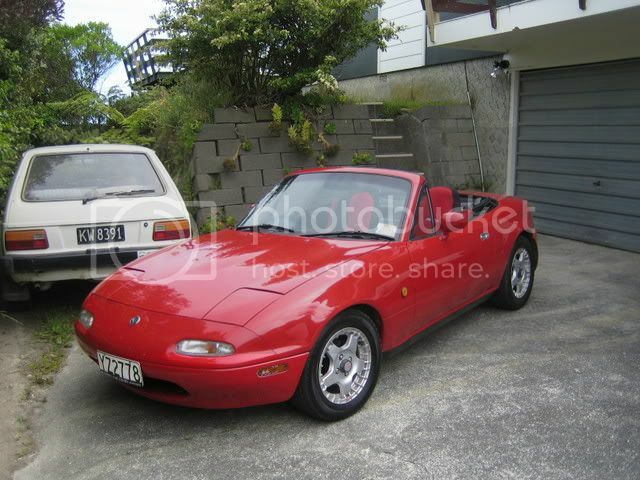 Kidding, I'll abuse trademe and "test drive with intent to buy" sometime. leon who has your gt now?? someone was saying aaron ( gurutasker? ) has it? 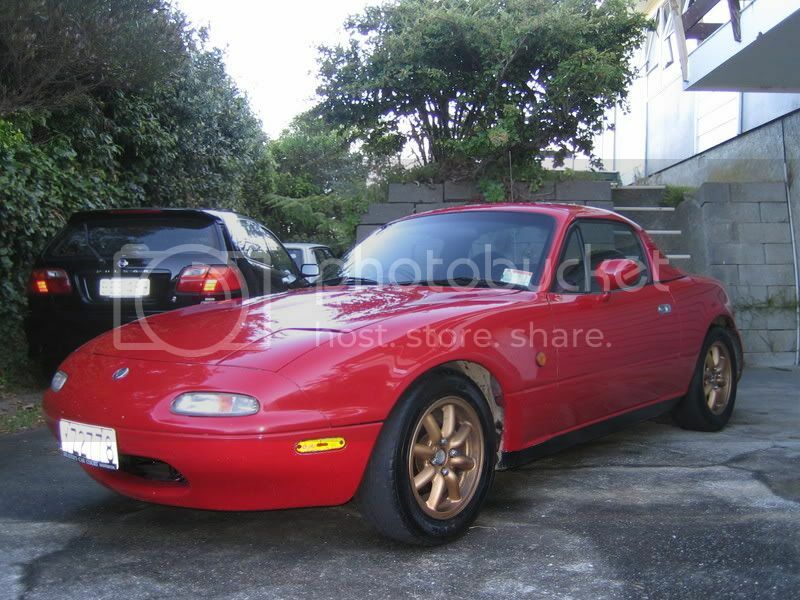 mx5 should be neat fun! Aaron has had the GT sedan since just before Christmas. Looks nice and clean Lem, which model is it? Wolfy was you '44 on tardme a while back? Yep it was on trademe a while back, it had plenty of intrest but no buyers and the M3 came along at a dealer so I traded it. I don't have any pics of the M3 but it was on trademe for a while, Schwartz black with standard 17's and black leather interior. I knew it! How much were the wheels on it? It was the non power steering model? What size tyres did you have on the front? Just curious as to how you had it set up. You used to have a red Prelude right Simon?